In 2012 a little indie horror game called Slender took the internet by storm. The first person survival scare-fest was based on a folklore known as “The Slender Man”. Slender Man is a tall skinny faceless man who haunts the woods and has serious stalker issues. In the original, the goal was to find all eight pages without Slender Man finding you. As the player collects each page, the intensity revs up and the game gets harder. The design was simple, but it caught on and became a huge cult hit. Slender: The Arrival is the sequel to the 2012 hit. With a much bigger premise, story elements, more attention to detail, and a deeper experience, can The Arrival take the original’s small scale ideas and multiply them into a full-scale scare? First off you must know that to play a game like Slender you have to go into it with the right mindset. In fact even right as the game starts the developer put in a little message that talks about this. Basically, if you go into The Arrival trying to be unimpressed and not scared, then you most likely won’t be scared at all. But if you go into the game really kind of putting yourself in the mind of the in game character and in that world, and if you pump yourself up in a way that you really do want to get creeped out and frightened, then Slender: The Arrival has all the tools to so. Is it a horrifying game? No. But if you turn the lights off and blast the speakers, then The Arrival can be downright eerie and creepy. It’s more about the tone and setting of a world that always puts you on edge, then being game that has gross jump scares and terrifying monsters. 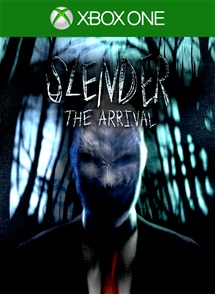 Slender: The Arrival is split up into different levels that really diversify the game. And honestly this is a major strength. In the first level you just roam and investigate a large area, you get a few glimpses of Slender Man in the distance. This first level has notes and story elements hidden about, and without going over the top it just creates an uncanny and supernatural feel. The level culminates with a creepy burned down house and it starts to open up a number of mysteries that need to be resolved. The second level is classic Slender. You must find the eight pages hidden in a small wooded area and at every turn it seems like Slender Man is staring you down. It’s very fun and reminded me of how great the simple gameplay was from the original. The game continues on with some levels of traversal nature and other levels more like the original Eight Pages. There’s a level in a mine, where you must turn on generators to power an elevator to your escape, this level was the hardest for me, with Slender Man being more annoying than scary and these strange marathon running zombie like creatures in hoodies tackling me to the floor. Another level takes place on an old farm with the sun setting in the distance, again creating a very “on-edge” tone. Overall the levels each feel very distinct, and while they aren’t all home-runs, it keeps the game feeling fresh throughout the 3-5 hour campaign. The game being in short length is one of the issues. In the world of video games, it’s known that horror games are better taken in smaller chunks. If the game is horrifying, it’s not fun to be scared for hours and hours straight, the player will want to quit. Meanwhile if the game is more eerie than scary, then the player will be desensitized and it just won’t be fun. So, a 20 hour campaign for a scary game is probably too long. But 8-10 hours might have been a bit better. Some of the scares in Slender: The Arrival certainly fall flat. The crying child in the burning house definitely made my spine tingle. And the strange man in the cellar of the farm was heart-stopping at first glance. But the mine level wasn’t really frightening at all. And the man in the cellar that seriously scared me at first quickly became amusing instead, as I noticed he would just stand there awkwardly until I got a certain distance away from him before he would run off. There were a few game design decisions, or more like short-comings, which made the game feel less scary and more silly. In the end, Slender Man himself is beyond creepy and he far surpasses any other scares in the game. Slender: The Arrival is a pretty game. Is it the best looking horror game out there? Certainly not. But for a small scale indie-scare, it certainly does the job. The lighting and colors are vibrant by day, and the shadows are eerie by night. The biggest problem is when the game was just too dark. Instead of being dark and hard to see, it felt more like there was just a cloud of dark in front of me, and the flash light I carried really didn’t do much. I know the game is supposed to be scariest when its pitch black, but I’ve seen much better attempts at this. Meanwhile when you look at characters and some textures up close the game is sometimes downright ugly. For an Xbox One or PS4 game, The Arrival definitely isn’t as good looking as it could be. Vistas, fields, trees in the wind, and sunlight are all appealing. But close ups and dark rooms are not. Overall Slender: The Arrival is a fine game. It is by no means the scariest, prettiest, or deepest horror experience. But it’s a solid few hours of fun and the eerie tone is great. Some scares fall short and some game mechanics just feel off. But the classic Slender Man gameplay is still great and the paranormal mysteries and ominous atmosphere make for a solid game.